Catch a free concert at The Bandshell every Friday and Saturday night from 7:15 – 9:30 p.m. and a free 9:45 p.m. fireworks show at the Daytona Beach Boardwalk and Pier after every Saturday night concert and on Independence Day. Labor Day Weekend, Sunday and Monday, September 1-2. 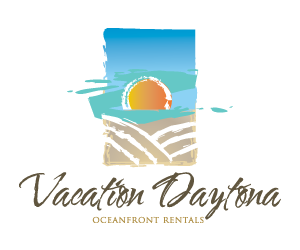 Enjoying the sights and sounds of summer at this historic coquina amphitheater is so easy – park in the Ocean Center garage, take the crosswalk to Ocean Walk Shoppes and the Daytona Beach Bandshell in Oceanfront Park, rent a VIP chair, purchase a drink and enjoy the free show! Friday night concerts: tickets for VIP seating may be purchased in advance through Ticketmaster Opens a New Window. and The Peabody Box Office for $10 plus applicable fees or at The Bandshell’s Box Office the night of the event. Get here early for Fish, Food and Photo-Ops on the Pier! Tag your photos #LoveDaytonaBeach for a chance to be featured. Need more ideas? Here are some free things to see and do, too. Don’t forget to check here for special deals to help turn one night of music into a well-deserved weekend getaway. 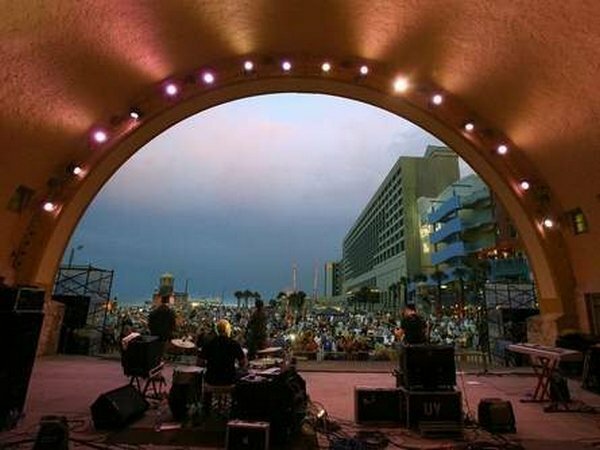 *Bandshell concerts marked with an asterisk indicate that a free Daytona Beach fireworks show will take place after the concert at 9:45 p.m.
Oceanfront Bandshell Summer Entertainment Series, in its 11th year, takes place on Friday nights with additional entertainment on Memorial Day, 4th of July, and Labor Day Weekends. This historic amphitheater is located inside of the Glenn Ritchy Plaza on the Northern end of the Boardwalk amusement area and overlooks the Atlantic Ocean. Everyone is welcome to join in the fun with our FREE entertainment for patrons wanting general admission. VIP seating is also available for purchase for only $10 which includes prime seating towards the front of the stage. Tickets can be purchased in advance at Ticketmaster.com, at the Peabody Box Office or at the Bandshell Box Office on show nights. For more information call 386-671-3460. Special thanks to Backstage Pass, “The Official Entertainment Publication of the Summer Entertainment Series”. Enjoy ice cold Coca-Cola products from “The Official Soft Drink” of the Summer Entertainment Series. Food is covered as well with Daytona’s finest BBQ from Backyard BBQ onsite during all the entertainment. Chairs for the FREE General Admission area are available for rent at the Bandshell’s Ocean Walk Shoppes entrance, 1 for $3 or 2 for $5. VIP Seating is $10 which includes one chair in an access controlled seating area and is available from the Box Office located just left of the entrance.